The chat participants offered up a number areas that are admittedly difficult to keep organized: entryways, kids' rooms, wardrobe areas, laundries, pantries, bathroom drawers, drop zones, garages, linen closets are all areas that can be tough, but one of the most the most popular answers was undoubtably the kitchen. Likewise, as the heart of the home, the kitchen was also crowd favorite for dictating the feel of the home. How can designers and manufacturers aid homeowners in their organizational pursuits? Planning your organizational strategy is an integral component of any renovation/ remodeling project. 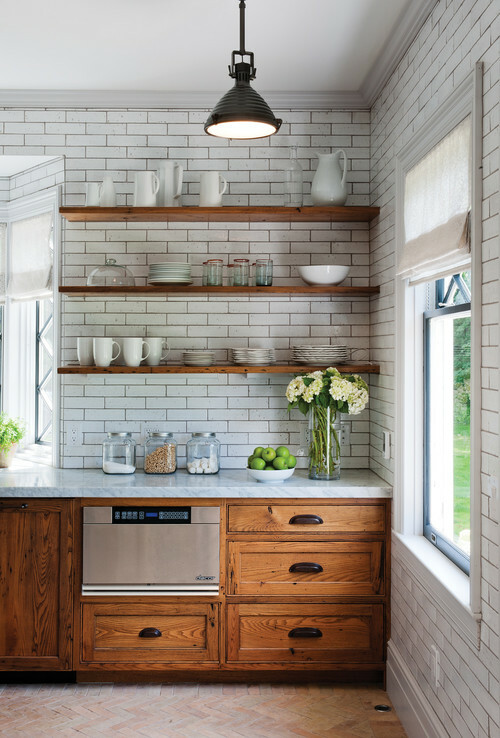 Whether you're going for open shelving, floating cabinetry, or under-island storage, you can depend on The Original Bracket Company for support you can count on. Connect with us today!